New Jersey based Shycast will be launching later this month and will put a new spin on brand promotion and paid contests. 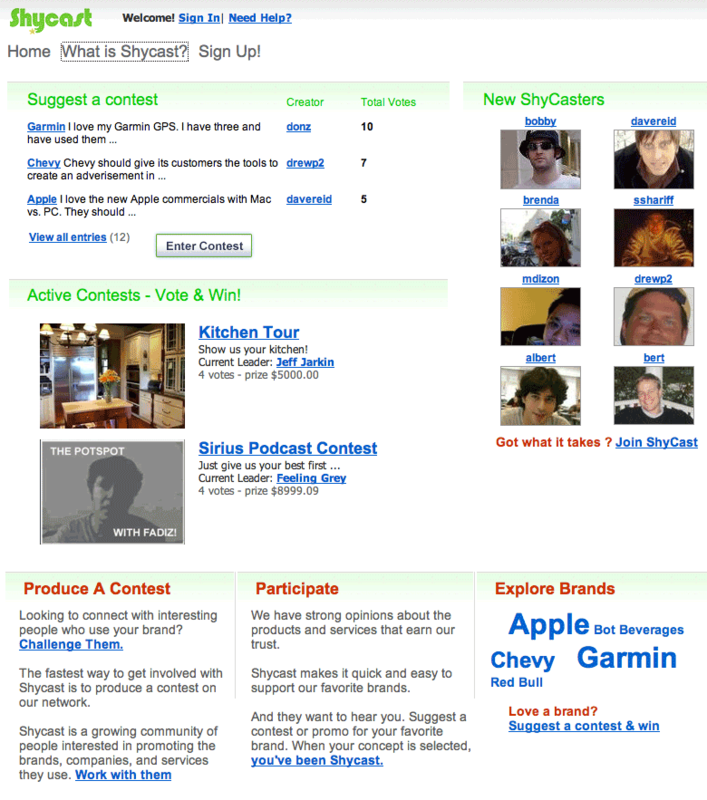 Like Bix, which was aquired by Yahoo in November 2006, Shycast will sponsor video-based contests with fairly large cash prizes. Shycast will launch with a sponsored contest by Ikea called “Break the Rules BedMaking.” Users will be asked to create a video showing how crazy and creative they can be in decorating their bedroom. The videos will be rated by other users, and Ikea will choose a group of finalists based on user feedback and other (transparent) criteria. The winner will be chosen from the group of finalists based entirely on user voting and will receive a $5,000 prize. Founder Drew Peloso says that he hopes to create a community where brands can reach out to receptive users and engage with them directly. Brands give back to the community by sponsoring contests. 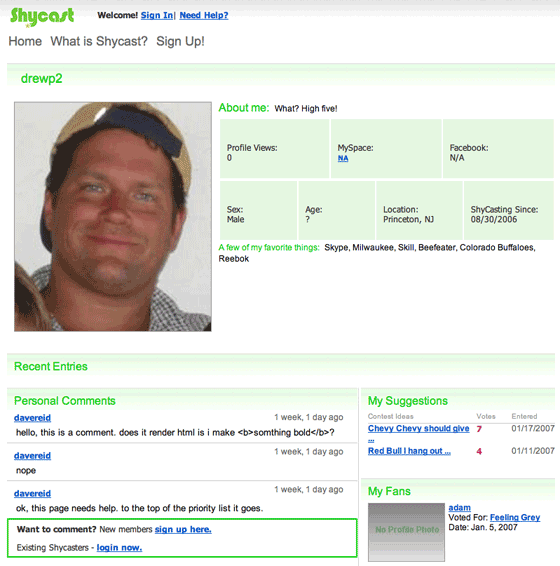 Users are encouraged to tag themselves with brands they like, and to recommend new contests involving any brand. Other users will comment and vote on those suggested contests, and Shycast will then propose these potential contests to brands. The business model is solid, if Shycast can get brands to participate. Brands pay not only the contest prize, but a fee to ShyCast that is “many time the prize amount” says Peloso. Bix showed that contests around user generated content can be very popular. If ShyCast can tweak this model and focus entirely on brands, it could be a winner. Peloso and co-founder Chris Bryant think so, too. They’ve funded ShyCast to date out of their own pockets, and think that they can hit profitability based just on currently signed partners who will be launching contests in the near future. Their goal is to never raise outside capital. Sign up to be notified by email of the Shycast launch on their home page.